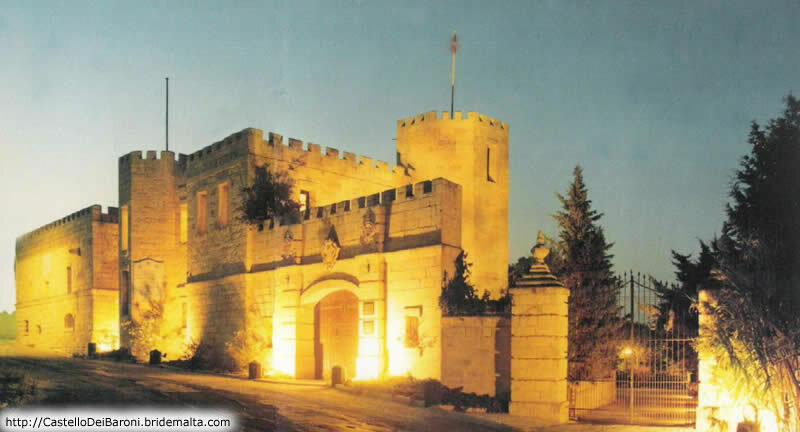 The Castello dei Baroni at Wardija, Malta was built during the reign of Fra Emanuel de Rohan Polduc – Grandmaster of the Order of St. John of Jerusalem of Rhodes and of Malta. 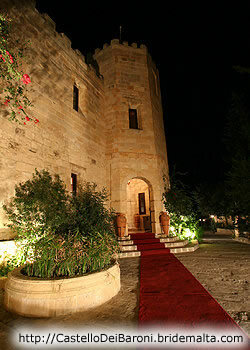 This was in 1783 and much of the original structure, carefully renovated and restored, is still intact. 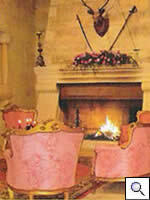 The Castello was a Baronial hunting lodge. 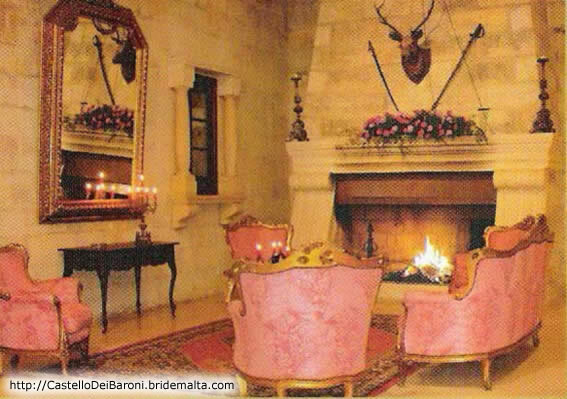 The owners, Chevalier Baron Adrian Busietta and Dame Marie Angelique Caruana are responsible for the renovations and the refurbishing of the Castello which has gained importance, as one of the exclusive locations in Malta for special occasions. 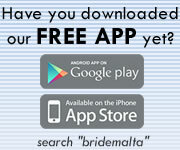 A Dream Wedding on an Island in the Mediterranean in a Romantic 17th Century Castle of the Knights of Malta. It has a Medieval reception hall, occasionally used for diplomatic balls or formal dinners. The upper level has been modified to accommodate a tour consisting of a mixture of artefacts and stories about the Knights that you are sure to find intriguing. 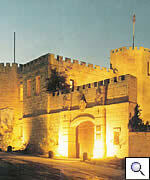 The tour also incluses an audio-visual that will give you an exclusive look at the full history of the Knights. The beautiful, well-kept, landscaped gardens and patios give breathtaking views of the picturesque country side around Wardija hill. 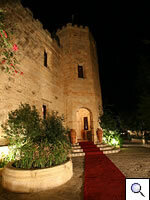 All the features contribute to make a visit to Castello dei Baroni an experience that should not be missed! Adequate parking in Summer inside the grounds is available and the Castello is well sign-posted and in itself a landmark. 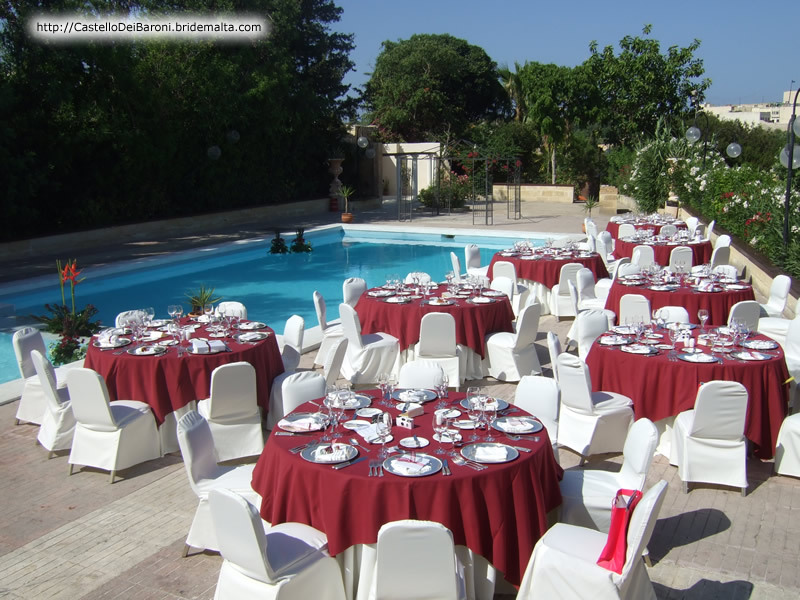 Seating capacity for up to 100 guests on round tables inside the Main Hall, Seating capacity for up to 300 guests on the terrace and around the swimming pool area. 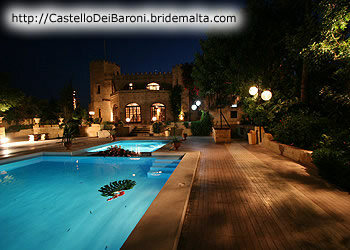 Castello dei Baroni... 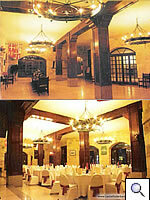 The venue for all occasions. 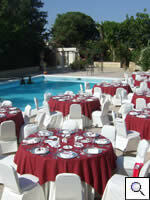 Wedding, Receptions, Engagement Parties, Gala Dinners, Banquets, Conferences, Exhibitions, Fashion Shows, Functions, Seminars. 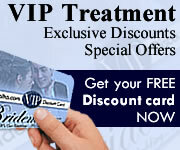 This page has been visited 63932 times.